Lillian Holcombe was born circa 1854. She married Joel T. Gillett, son of Seymour Gillett and Maria P. Walters. Lillian Holcombe died on 15 June 1914. GILLETT - At her home near the Italy-Naples county line, June 15, 1914, Mrs. Lillian Holcomb Gillett, aged 60 years. She was found dead by her son, Hyland Gillett. Mrs. Gillett had been in poor health a long time, but got around and did her housework. She was the widow of Joel Gillett, and leaves three children, Mrs. Ola Hatch, Cass Hatch and Hyland Gillett; also seven stepchildren, one brother, Roderick Holcomb, of South Bristol; and one sister, Miss Ida Holcomb, of Canandaigua, also survive. Francis M. Morgan was born in 1840 at Williamson, NY. She was the daughter of Isaac Morgan and Mary C. Brasher. Francis M. Morgan married George W. Howe. Francis M. Morgan died in 1919. George W. Howe was born in 1834. He married Francis M. Morgan, daughter of Isaac Morgan and Mary C. Brasher. George W. Howe died on 25 April 1876 at near Sagenow, MI. [S468] Butch McNinch, "Linus Noble Holcombe," e-mail to James H. Holcombe, 24 Oct 2003. [S807] Find A Grave, online http://www.findagrave.com, Find A Grave, database and images (https://www.findagrave.com : accessed 17 January 2019), memorial page for Julia Ann VanBuren Holcomb (5 May 1842–23 Sep 1912), Find A Grave Memorial no. 125423559, citing Coloma Township Cemetery, Rock Falls, Whiteside County, Illinois, USA ; Maintained by Kat Carter (contributor 47421883) . [S791] Russell Runge, "Linus Noble Holcombe," e-mail to James H. Holcombe Jr., 11 April 2015. [S807] Find A Grave, online http://www.findagrave.com, Find A Grave, database and images (https://www.findagrave.com : accessed 17 January 2019), memorial page for Linus Noble Holcomb (13 Feb 1823–30 Jan 1892), Find A Grave Memorial no. 138746517, citing Prairie Repose Cemetery, Amboy, Lee County, Illinois, USA ; Maintained by Vicki Ragan Harris (contributor 46900094) . [S793] Jeane Ansteth Kennedy, David Bonnell. Linus and Abbie were enumerated in the 1900 Amboy Twp. Lee Co., IL, federal census. He was a farmer, age 34, she was 24, they had been married 5 years, and 3 of 4 children were still living. Children in the household were Myrtle 4, Elmer L. 3, and Linus A, 8 mos. Linus and Abbie were enumerated in the 1910 Pekin, Tazewell Co., IL, federal census. He was a laborer in an organ factory, age 45, she was 35. They had been married 15 years and 8 of 10 children were still alive. Children in the household were Myrtle, 14, Elmer 13, Linus 10, Mona 9, Gerald 7, Bertha 5, Janetta 2, and Richard 8 mos. Linus and Abbie were enumerated in the 1930 Coloma, Whiteside Co., IL, federal census, District 6. He was 65, she was 54. Children in the household were Bertha 25, and Walter 17. Additonal information on the descendants of Linus is available from Robin T. Holcomb of Seattle, WA, anholc @ eathlink.net. [S512] Robin Holcomb, "Linus Noble Holcombe Jr.," e-mail to James H. Holcombe, 29 April 2004, Disagrees with 1900 Census. [S512] Robin Holcomb, "Linus Noble Holcombe Jr.," e-mail to James H. Holcombe, 29 April 2004. [S807] Find A Grave, online http://www.findagrave.com, memorial # 99599520. Harriet Venilia Holcombe was born on 5 October 1864 at Whitehall, Washington Co., NY.1 She was the daughter of Linus Noble Holcombe and Julia Ann Pitts.1 Harriet Venilia Holcombe died on 10 November 1864. Otis and May were enumerated in the 1900 La Moille Twp. Bureau Co., IL, federal census. He was a farm laborer, age 28, she was 30. There were no children in the household, but their had been a birth of a child no longer living. 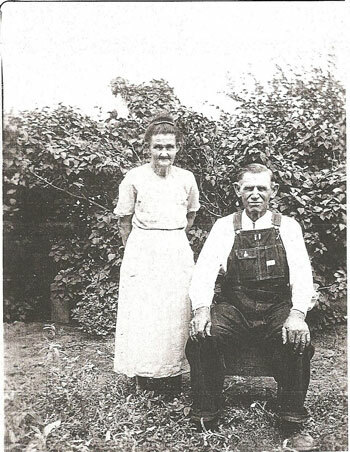 Otis and May were enumerated in the 1920 La Moille, Bureau Co., IL, federal census. He was a farmer, age 47, she was 49. Children in the household were Earl 18, and Muriel 12. Otis was enumerated in the 1930 La Moille, Bureau Co., IL, federal census. He was 59 and living in the household of his son Earl. Roger Henry Holcombe was born on 30 August 1869 at IL.1 He was the son of Linus Noble Holcombe and Julia Ann Pitts.1 Roger Henry Holcombe died on 17 April 1870. Jacob and Georgiana were enumerated in the 1910 May, Lee Co., IL, federal census. He was a farmer age 50, she was 37. Of the 8 children born to her, 6 were still living. Children in the household were Charles 15, Melissa 12, Ethel 9, Mary 5, Benjamin 3, and Otis 11 months. Also in the household was adopted daughter Alma Springer 16. Laura Molinda Holcombe was born on 16 November 1875 at IL.1,2 She was the daughter of Linus Noble Holcombe and Julia Ann Pitts.1 Laura Molinda Holcombe married Charles DeForest Shaw on 10 March 1896. Laura Molinda Holcombe died on 27 April 1958 at Amboy, Lee Co., IL, at age 82.2 She was buried at Prarie Repose Cemetery, Amboy Township, Lee Co., IL. Charles and Laura were enumerated in the 1900 East Grove Twp., Lee Co., IL, federal census. He was a farmer, age 38, she was 25 (listed as born Nov 1874). The only child born to them was "Hazllme" age 1. Charles and Laura were enumerated in the 1910 East Grove Twp., Lee Co., IL, federal census. He was a farmer, age 49, she was 40. Children in the household were Hazel 12, Donald 8, Ida 4, and Charles 1 year 5 months. Charles and Laura were enumerated in the 1920 East Grove, Lee Co., IL, federal census. He was a farmer age 58, she was 44. Children in the household were Don 17, Ida 13, Charles 10, and Rolland 8. Charles and Laura were enumerated in the 1930 May, Lee Co., IL, federal census. He was a farmer age 67, she was 54. Children in the household were Charles Jr. 21, and Rolland 19. Arthur and Alice were enumerated in the 1900 East Grove Twp., Lee Co., IL, federal census. He was 25, she was 21. Children in the household were Arthur 3, Raleigh 2, and Andrew whose age was illegible, but less than 1. Arthur and Alice were enumerated in the 1910 Grant, Russell Co., KS, federal census. He was a farmer, age 35, she was 31. She had 7 children, 6 still living. Children enumerated in the household were Arthur 13, Rollie 11, Andrew 9, Mattie 6, Charles 4, and Clara 1. Arthur and Alice were enumerated in the 1920 Clay Center, Clay Co., KS, federal census. He was a railway section laborer, age 45, she was 41. Children in the household were Arthur 23, Rollie 21, Andy 19, Minnie 9, Samantha 3 years 7 months, Herbert 1, and daughter-in-law Francis, spouse of Rollie, 16. [S807] Find A Grave, online http://www.findagrave.com, memorial #89105716. [S656] Vicki Allen, "Arthur Tullis Farrow," e-mail to James H. Holcombe, 28 April 2008. Charles and Eva were enumerated in the 1910 LaMoille, Bureau Co., IL, federal census. He was a farm laborer age 37, she was 27. Children in the household were Gilbert 11, Howard 9, Alva 8, Charles 5, and Joseph 1 year 3 months. Strangely, Charles is enumerated in the 1920 Sterling, Whiteside Co., IL, federal census, as a widower. He was a loborer age 47. Children in the household were Charles 14, Gilbert 20, and Alvy 18. Lily May Holcombe was born on 8 June 1886 at IL.1 She was the daughter of Linus Noble Holcombe and Julia Ann Pitts.1 Lily May Holcombe died on 6 March 1888 at age 1. SD Holcombe was the son of US Holcombe. Norton and Florence were enumerated in the 1920 Geneva, Ashtabula Co., OH, federal census. He was 26, she was 20. Children in the household were William (?) 3 years 7 months, and John D. (?). [S182] Social Security Death Index (on-line), Ancestry.com, SSDI, Ancestry.com, SSAN 496-10-6809. [S182] Social Security Death Index (on-line), Ancestry.com, SSDI, Ancestry.com, SSAN 490-44-8075. John Duncan Holcombe was born on 12 November 1919 at Geneva, Ashtabula Co., OH.1 He was the son of Norton Leroy Holcombe and Florence (? )1 John Duncan Holcombe died on 16 November 2001 at Skaggs Community Health Center, Branson, Taney Co., MO, at age 82.1 He was buried at Mt. Grove Cemetery, Branson, Taney Co., MO. Funeral services for John Duncan Holcomb Sr, FTMC, US Navy (Retired), 82, of Branson, were held Wednesday, November 21, 2001 at Snapp-Bearden Funeral Home in Branson. Burial with full military honors was in Mountain Grover Cemetery, Branson. Visitation was on Tuesday at the funeral home. He died November 16, 2001, at Skaggs Community Health Center, Branson. Mr. Holcomb was born at Geneva, Ohio, the son of Norton and Florence Holcomb and moved with his parents to Branson in 1920. He attended Mountain Grove School and Branson High School. He enlisted in the Navy in 1938 and transgerred to the Fleet Reserve in 1960 following 22 years of active duty. He served in many battles in the South Pacific and was awarded the Bronze Star aboard the USS Heermann after the Battle of Leyte Gulf. Following his retirement he worked installing water well pumps for 22 years, retiring in 1983 and following that he made fiddles. He was a Pearl Harbor Survivor, being stationed on the USS Cassin in dry dock that was hit by bombs and burned. He was a 50-year-plus member of the Fleet Reserve, a member of the Pearl Harbor Survivors Association, Inc., Chapter 6 of Hollister and American Legion Post #220 of Branson. Survivors include his wife, Valmore, of the home, two children, Sandra Kay Beets and husband John of Kansas City and John Holcomb Jr and wife Erin of Branson; one brother, Larry Holcomb, of Mildred; one sister, Shirley Blansit of Newark, Ohio and two grandsons; Brock Holcomb, of Oskaloosa, Iowa and Ryan McCall of Branson. He was preceded in death by his parents; five brothers, Walter, Roy, Robert, Ralph and Bill and one sister, Frances Underwood. Memorials may be made to Mr. Grove Cemetery, 265 Mt. Grove Rd, Branson, MO 65616, or in care of Snapp-Bearden Funeral Home. [S469] Elizebeth B. Plimpton, Lyme VR, Page 15. Norton and Carrie were enumerated in the 1900 Geneva Village, Geneva Twp., Ashtabula Co., OH, federal census, ED 21. He was a machinist, age 29, she was 25. The only child in the household was Lila E. 5. N. Lea and Carrie were enumerated in the 1910 Geneva Village, Geneva Twp., Ashtabula Co., OH, federal census, ED 29. He was listed as 30, she was 35, and they had been married 16 years. The only child in the household was Lilia 15. [S25] Hannah McPherson, Holcombe Genealogy, Page 66.2. Rollin and wife were enumerated in the 1860 Ashtabula Township, Ashtabula Co., OH, federal census. He was a laborer age 26; she was 23. There were no children in the household. N.B. and Amanda were enumerated in the 1880 Geneva, Ashtabula Co., OH, federal census, ED 10. He was a carpenter age 40, she was 36. Children in the household were Luella 15, Grant 12, LeClair 10, and Altie D. 1. McPherson says "Lee Clare N. Holcombe, Geneva is a son or near relative" but is seems that Norton L. Holcombe is "Norton LeClair Holcombe" son of Norton B. Holcombe. Norton and Amanda were enumerated in the 1900 Geneva Twp. Ashtabula Co., OH, federal census, page 11A. There were no others in the household. Norton B. and Amanda C. were enumerated in the 1910 Geneva Village, Geneva Twp. Ashtabula Co., OH, federal census, ED 27, page 5A. He was a farmer age 70, she was 66; they had been married 47 years. There was no one else in the household. Oliver H. and Eunice wee enumerated in the 1870 Manchester, Ontario Co., NY, federal census, page 11. He was a farmer, age 38, she was 25. Children in the household were Willis 2, and Stanley 5 months. Oliver and Eunice were enumerated in the 1880 Harrison, Harrison Co., IA, federal census. He was a farmer age 48, she was 34. Children in the household were Stanly, 10, Eugene 8, Oliver 6, and Jessie 3.